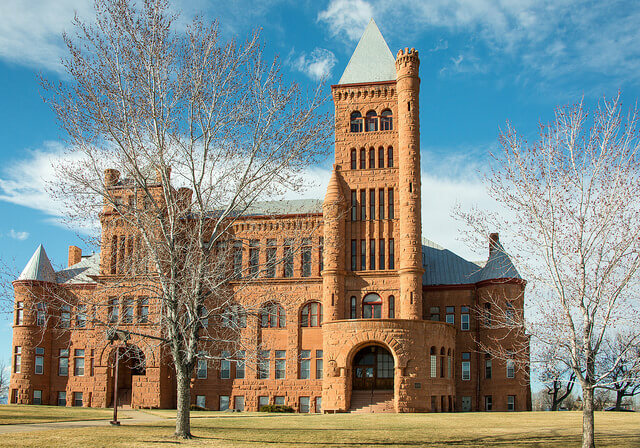 Step into a page from a fairytale book by visiting these Colorado castles. Take public or private tours, enjoy tea and dining, rent their facilities, or simply stop by and admire the architecture! 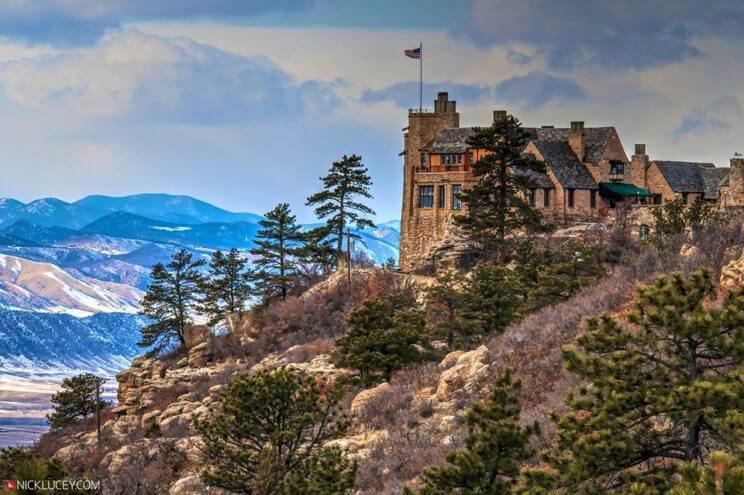 EXPERIENCE A COLORADO FAIRYTALE AT THESE CASTLES! Bishop Castle is a castle built entirely by one man, Jim Bishop, who bought the land for the site for $450 in 1959, at the age of 15. Bishop worked on building the castle for over 40 years. 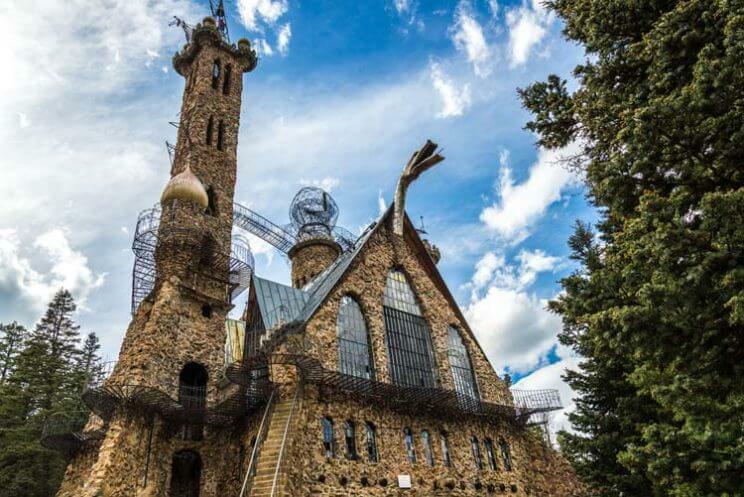 The castle’s tallest tower soars 160 feet and the castle features three full stories of interior rooms complete with a Grand Ballroom, soaring towers and bridges with vistas of a hundred miles, and a Fire-Breathing Dragon. Cherokee Ranch & Castle includes land that originally belonged to two separate homesteads in the late 1890s: the Flower Homestead and the Blunt Homestead. In 1924 the Flower Homestead was purchased by the Johnson Family for $5 an acre and built the 1450s Scottish-style Castle. Tweet Kimball bought the Castle in 1954 and the adjacent Blunt Homestead, which was renamed to Cherokee Ranch. Cherokee Ranch & Castle now offers tours, special events, teas, site rentals, an outdoor laboratory and classroom for environmental education, and more. The Dunafon Castle is a stunning residence that is nestled in a mountain forest and circled by the gentle waters of Bear Creek. The castle’s construction was completed in 1941. It is owned by Mr. M. C. Wright, who owns and operates an engineering and manufacturing business in Denver, who has spent with his staff over 10 years in its engineering and designing. The Dunafon Castle offers site rentals for private events and weddings. 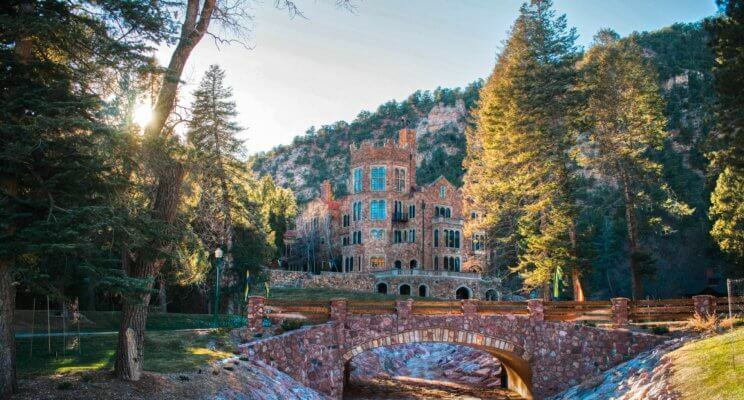 Glen Eyrie is a 67-room English Tudor-style castle that was originally constructed in the late 1800s by Civil War hero and founder of Colorado Springs, General William Jackson Palmeran. The castle was a modern marvel for its day featuring both electrical power, that supplied by its own power plant, and some of the first telephones installed in the West. The Navigators, a Christian organization, purchased Glen Eyrie in 1953, and the castle is currently used as a conference and retreat center, and offers public tours, site rentals, teas, events and more. Castle Marne also offers tea and dining events, site rentals, and more. 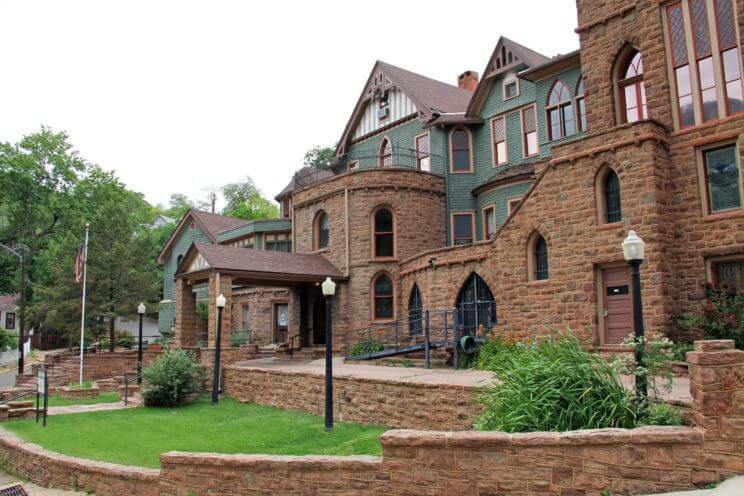 Psst… Historic Castle Marne Bed & Breakfast was also featured in the article ‘Best B&B Hotels in (Nearly) Every City in Colorado‘. Miramont Castle was founded by Jean Baptiste Francolon and contracted by the brothers, Angus and Archie Gillis. Construction began in the fall of 1895 with the architecture incorporating all the features Father Francolon liked, which resulted in a remarkable structure, that features nine separate styles of architecture. 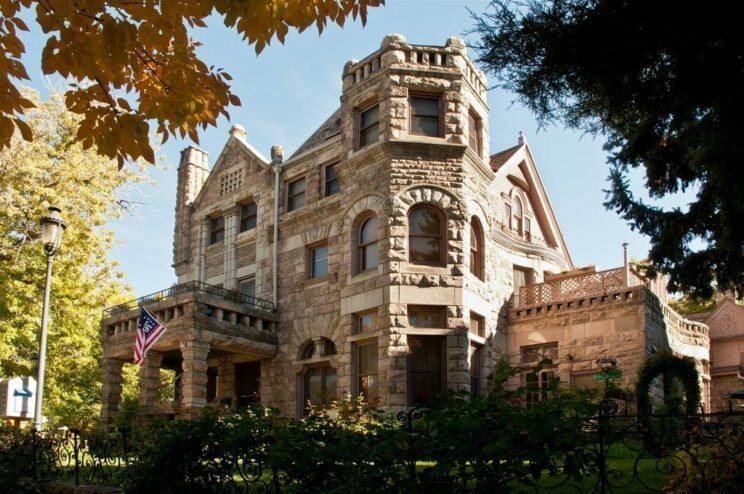 Miramont Castle was added to the National Register of Historic Places on May 3, 1977, and currently offers tours, special events, site rentals and a Victorian Tearoom that offers High Tea and Light Victorian Tea. 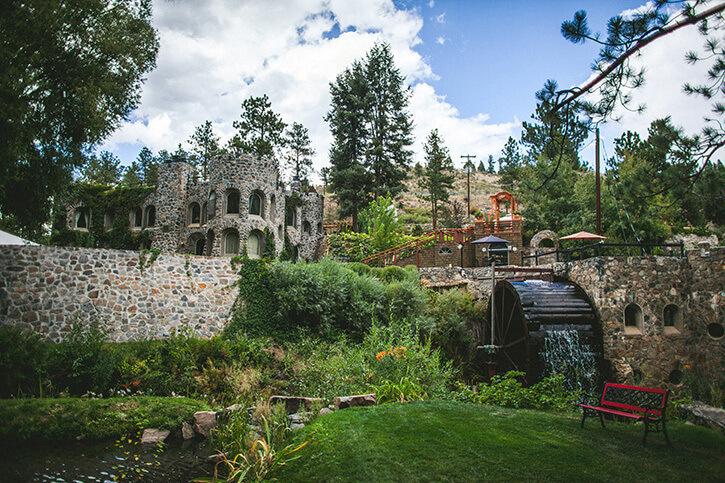 Psst… Miramont Castle Museum was also featured in the article ‘11 Most Unique Wedding Venues in Colorado‘. Redstone Castle was completed in 1902 for industrialist and coal magnate John Cleveland Osgood. 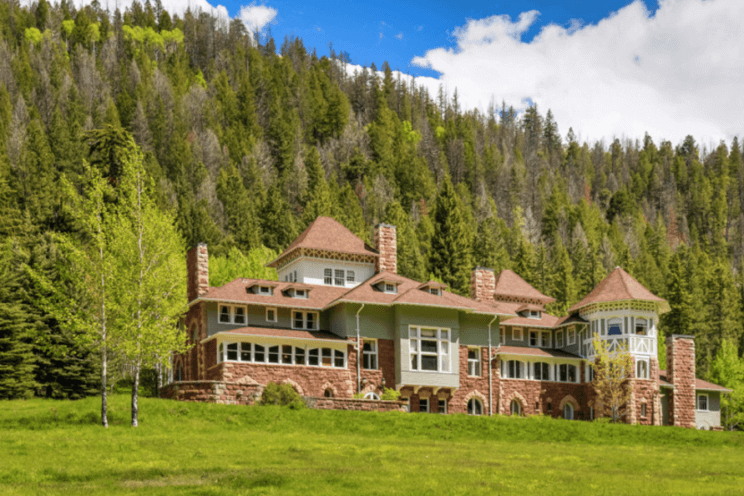 Steve and April Carver, owners of the Hotel Denver in Glenwood Springs, purchased the castle at auction in October 2016, becoming the 11th owners in the Castle’s 114-year history. Redstone Castle was placed on the National Register of Historic Places in 1971, and provides a unique glimpse into the personal styles and social culture of America’s elite at the turn of the 20th Century. Built in the Tudor style, the Castle is filled with the finest furnishings of the period: wooden paneling designed by Gustav Stickley, intricately cast brass globe lights created by Louis Tiffany and countless pieces of furniture and artwork collected by the Osgoods on their frequent trips to Europe. Westminster Castle, also known as “The Pillar of Fire”, completed its construction in 1893. New Yorker Henry T. Mayham received approval to build a Presbyterian university, and was designed by two different architects, E.B. Gregory and Stanford White. The university shut its doors in 1917, and Westminster Castle was entered on the National Register of Historic Places in 1979. Today, the Westminster Historical Society offers free tours of Westminster Castle for its members, and paid tours for non-members.